On my lunch break at work I decided to have a look in the local 2nd hand book store and look what I found for Yen. 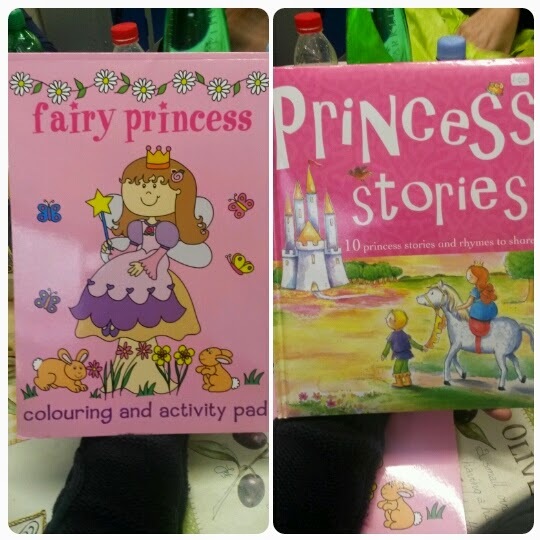 A fairy princess colouring book and princess stories book all in perfect condition. I sometimes buy Yen 2nd hand books because most times they are in good condition and once she doesn't want them anymore I could give them to the nursery or sell them. I don't even have to feel about it because I didn't pay full price for them. For the colouring book I payed 50p and the princess stories book was £1.50.